Welcome to the second annual Fisher Cats 5K Fun Run/Walk and NEW 1K Kids' Fun Run in support of the Moncton Fisher Cats Senior Baseball Club! 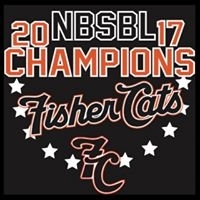 Join us, rain or shine, wearing your black and orange to support the Moncton Fisher Cats! You will have the opportunity to meet Fisher Cats players and volunteers at the start/finish and cheering you on along the route. Keep in mind this is a fun run/walk, so there will be no chip timing available, but there will be a time clock at the finish line. 5K open to ages 10+. 1K open to ages 5-12. Following the 1K, kids will have the opportunity to practice their baseball skills with some of the Fisher Cats players and coaches. Race kits will be guaranteed for the first 100 registered runners. Prizes will be awarded to the top three 5K finishers. Registration Time:	8:15 - 9:15 a.m. Registration location: Field of Dreams | CN Sportsplex Field #3 | 55 Russ Howard Dr.
Start location: Field of Dreams | CN Sportsplex Field #3 | 55 Russ Howard Dr. Course description: This 5k route will start at the Field of Dreams — the only fully-accessible baseball field in Atlantic Canada — into the Centennial Park trails and back to the field, where you will complete the course with a home run trot around the bases. The 1K route will start and finish the same way, but will follow the trail through the baseball fields.